Virtual Reality is anticipated to be one of the most emerging and focused trends in the mobile applications market. Bringing into account the upcoming trends of wearable hardware it is set to revolutionize the gaming and arts sector. Considering the affinity the audience has for a new experience it will be great bet for investors to go ahead with this piece of technology for there new projects. With a great deal of disciplined experience and being one of the best mobile application development we have a great understand of the kind of organizations you can proceed forward with your VR mobile app development project. Cubicle Ninjas derives its base of skilled developers in game app development. They have provided this service to many start-ups, nonprofits and mid sized companies and have gained a reputation for creating for visually appealing work. Following this Cubicle is taking the next step forward by developing virtual reality apps. They have several virtual reality products dealing in virtual tourism, healthcare, psychological and educational applications. AppReal-VR specialize in AR & VR technologies and implement it into cutting edge gaming experiences. They are known for their well proven development and deployment strategies which have helped clients from various verticals achieve their pitch. They offer some of the best virtual reality developers at great outsource prices and are sure to deliver more than your expectations. BrainMobi maintains a great record and reputation of disciplined practice methods employed to every project they handled. This diversity has enabled them to have a good team of developers in the field of AWS and IoT techniques that helps them craft smart VR solutions for various business verticals. 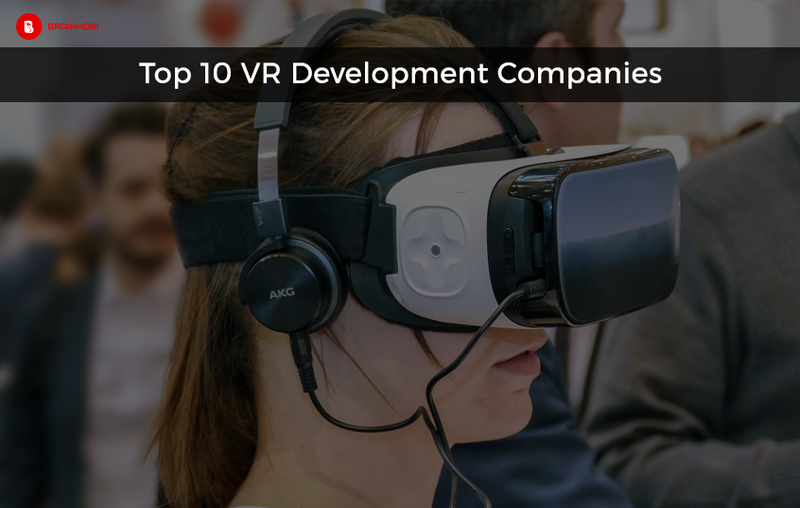 Also versed with development abilities in the field of wearable technologies they are set to connect to that hardware revolution by playing their VR card right into it. Spinview is inclined towards helping your business with virtual reality and game app development. Virtual reality and corresponding influencer services are the prime services and have proven to be a great marketing interaction factor for various marketing leads. The specialize in hosting virtual tours, Product Images, 360 video production equipped with great tracking capabilities. Mortar Studios is an imagination production house with a talented and experienced team of skilled CG artists and VR app developers. The have been able to improvise over a various number of fields offering collaborative solutions over a good range of enterprises. Following which they have set VR application standards in the field of education, retail. Health, entertainment and much more. Curioscope has a great role in outlining the future of VR and AR technology with several education and simulation programs. There several enterprise applications and projects have given them a lot of resource to conceptualize something innovative in this domain. This has helped them amass clients from major real properties, automotive, hotels etc all over India. Erminesoft has been in the mobile application development even before the emergence of VR technologies. This gives them a prerty solid base for projects related to this subject and can take any business forward with their VR applications, games and websites. The aim to make tempting design and other user elements that is bound to catch attention. The knowledge of 3D language helps them grow VR products more easily. Besides being a great mobile application development unity Hyperlink Infosystem has also gained the reputation of being one of emerging VR app development companies as well. Their development strategies includes variations, creativity and lots of analysis before a client or enterprise or whatever the case may follow. Their technical proficiencies is set to suit the business strategies of several enterprises. Kagiso has been in the league of some high-end mobile app development and web based solutions. The deliver customized result driven programs to get their clients the most specific project intentions. They also have a special team dedicated to unique wireframe graphics and they range metro style to 3D and beyond. Also they offer complete life cycles and individual processes relating to development phases. 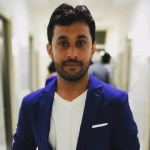 VRScape is a virtual reality mobile app and game app development company dedicated to delivering immersive experiences in the field of augmented and virtual reality domains. At the same time they have also been able to craft several successful business solutions to using virtual reality as a leverage. A post production expertise and channelizing mission to several production companies in the UK and take the responsibility of managing the entire production process from preparation to delivery. I hope we were able to give some some constructive information in your route to VR development. As one of the top VR application development company we assure you that this is a very promising field and has a lot of potential to give your project an uplifting edge. Or write to us for more details or relevant information or even if you have a mobile application idea at sales@brainmobi.com .